We developed an Android app to allow people to quickly access My Money Picture from their phone's home screen. This app opened the My Money Picture Login page in a internet web-view. The app accessed the same code as using My Money Picture from any web browser on a phone, but it eliminated the need to type in the website address each time you wanted to enter a transaction. Now it is very easy to simply add a web page to your phone's home screen, and this app is no longer providing added value. So in the interest of simplification, we are discontinuing the app. Interestingly, the My Money Picture Android app only required access to the internet and no other permissions. If you ever pay attention to the permissions needed for many apps, you might wonder why so many need to access the phone's contacts, files, camera or microphone. Now that it is so easy to add a page to my home screen, I have deleted many apps that I used to have, and I only access these sites via a web-browser. This provides an added level of security. 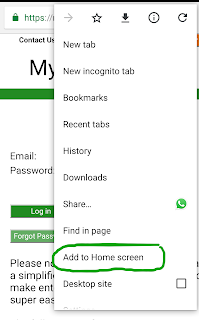 To add a site to your Home screen from a Chrome browser, for example, simply click on the menu icon (the three vertical dots in the upper right of the screen) and click "Add to Home Screen". 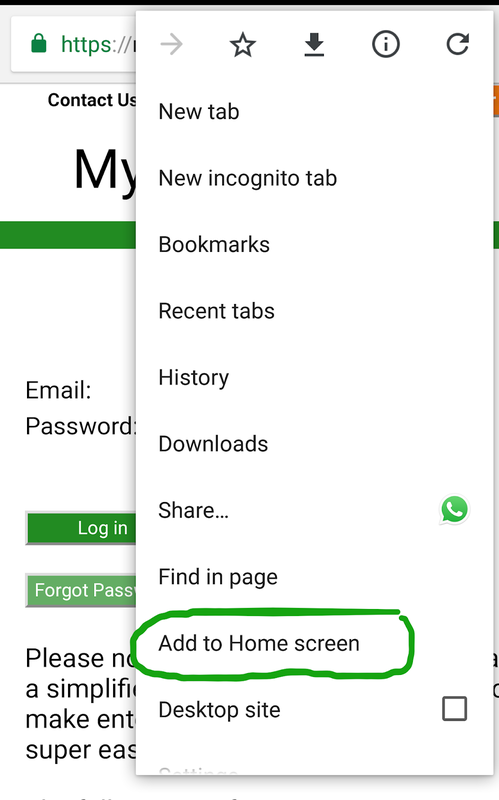 We recommend doing this from the login page, so when you click on the icon on your phone's home screen, you will be taken directly to the login page.